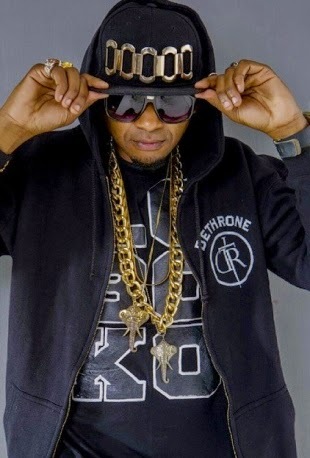 Few days ago, singer, Colonel Mustapha released a new teaser to his up-coming raunchy video, causing a storm on social media because of the big bum ladies in the video. But just after releasing the teaser, it has now emerged that one of the ladies in the x-rated music video is someone's wife but her husband happens to be blind. Check out the lady below. As it turns out, the well endowed video vixen is married to an up-coming artist named, Big Nacent, of a local music group known as, Boomba Boiz. The guy is blind and the one holding a walking stick in the photo below. 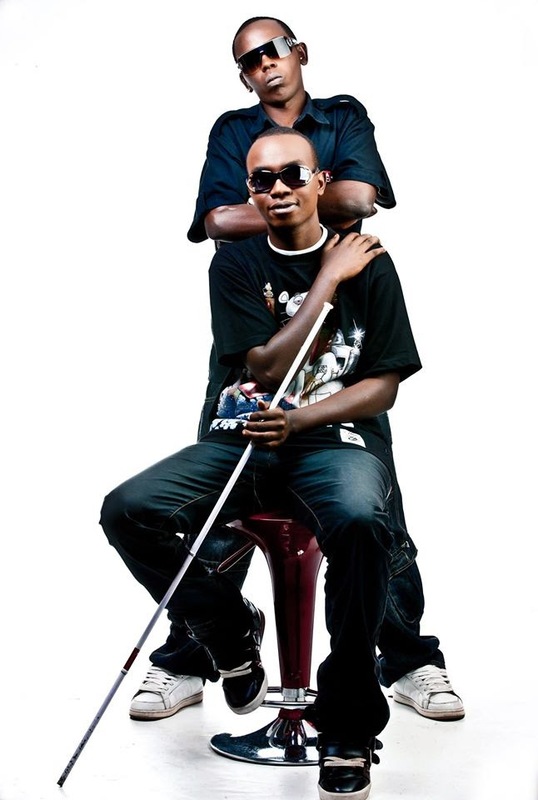 According to the singer Big Nacent, Mustapha took advantage of his blindness and featured his wife in the dirty video without his knowledge. "Mustafa did that because I am blind and he thought I would not know who is in the video. But I found out and reported him not because I hate him but because I need to protect my wife. I don’t want her exposing her body to the public like that. This is my wife NOT my girlfriend the mother of my children and Mustafa should have talked to me first" He said. Mustafa has since been arrested and here is what Bignascent said about it. Dnt get it twisted. I ddnt report Mustafa to the authorities coz i hate him. Its becouse of what he did to me! Shooting an explicit video with my wife without my concent is too much for me! What pains the most is the fact that he did it coz he was absolutely sure im blind and wont see my wife in that video. It doesnt get into my head! It is with great dissapointment that i put to hold the release of my new single #DodomaSingida....Polisi wamenivamia kwenye studio n am headed to Criminal investigation department for investigation over questioning involving one of the model that appeared in my video. I wont be able to release the video today until i clear with the authorities.To all my fans,friends,Tv & Radio host,i do apologize for any inconvinience caused.